Partake in a Delightful Massage for Two! Often, our day-to-day routine leaves little in the way of quality time with that special someone. That's why The House Of Massage invites you to re-connect and revitalize with an array of services designed specifically for couples. You and yours will enjoy steams, soaks and more within and intimate setting while our discreet staff caters to your every need. Hour Couples Massages. 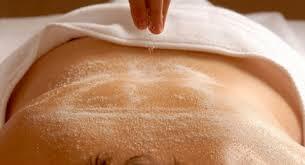 Slip away to paradise with our full body scrub following our Celebrity massage service. About 3 hours. Couple’s Hour Hot Stone Massages, Petite facials and aromatherapy body ritual! About 3 hours. The retreat for two includes Couples Massages, Petite Pedicures & Facials. About 3 Hours. ﻿﻿﻿Partake in a number of divine services within our private treatment room for two. Contact a spa reservations specialist for details and upgrade service pricing. Services are not interchangeable and must be utilized within the same day by the same guest. A 20% Service Charge will be added to each package price. Call us at 706.530.1619 ​ to book your refreshing rendezvous soon!